In 2017, VES conducted a review of the complaints it has received from veterans and servicemembers who have attended Ashford. VES also interviewed a small number of those individuals. 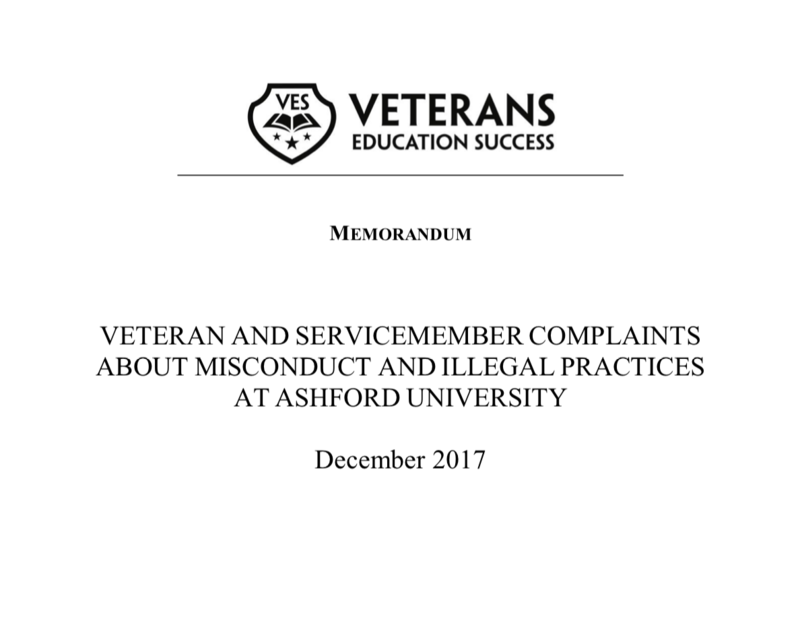 This memorandum details the complaints that VES has received about Ashford and organizes them into nine broad categories, such as program costs and quality of instruction.